Today let us briefly discuss how to optimize Multi Vendor Marketplace Software to drive more sales. 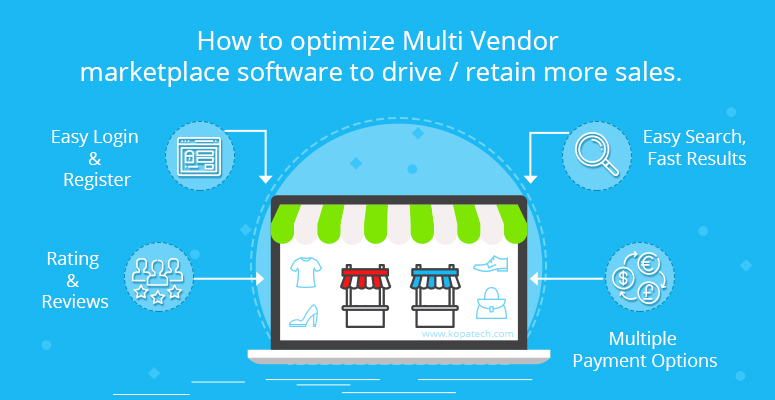 Before diving into the optimization tricks, what is multi vendor marketplace? In simple terms, it is a web platform & Mobile Apps that has listings from multiple sellers, vendors, supplier’s products all under single roof. Each of those will be having their individual accounts to manage their products catalogs, inventory, order transaction and reviews (posted by end customer). In this post, let us discuss how to optimize multi vendor marketplace platform to retain the customers and make more sales than you might normally do. This is rule #1. Only if you keep the registration process and product listing as simple as possible, you will get more sellers registered. Ideally, it should contain the minimum fields required and a user experience that is easy and exciting. If you make the registration process complex, your sellers will move to other places, and you literally lose a lead. 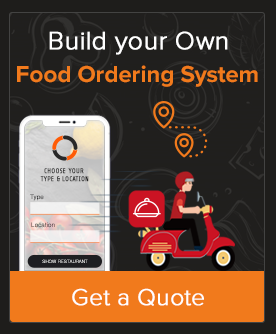 The application must be integrated with social media connect login/signup. Search functionality is obviously the most used feature of any multi vendor eCommerce script. Users should find it easy to perform advanced search operations and the results to be shown fast. If it is going to take ages or the search feature itself is too complex and not user friendly, you are losing again. We recommend integrating standard search algorithm instead of normal search query or full text search. Engagement to your Multi Vendor Shopping Cart Software happens only with lots of real user reviews. But how do you get a lot of those? The review request process should be as simple as it could be. You could get inspiration from leaders like Amazon and check how you can make it even better. You could follow-up on emails for a star rating and short review in their own words. Also, you could announce promotional prizes for the best reviews. (Sure to get lots of real reviews in a short time). Next optimization could be on making your payment options very flexible allowing for maximum payment options. Some stores are even accepting bitcoin payments in addition to the default Net banking payment systems and online payment gateway like PayPal, credit card system, etc. While offering lots of payments option to end customer, it is your duty to make it neatly categorized and show them organized. Hope you got some insights in tweaking your Multi Vendor marketplace software. If you follow these simple tweaks that will not only make the user experience far better for your end users, it will ultimately lead to more sales. Please try out these tweaks and let us know how it helped your multi vendor eCommerce script.